I really love sewing small things, be it a pouch, bags or quilts. Last month, being the holiday season, I made a couple of cute little sling bags for the nieces and for my friends' daughter too. I made this cats and arrow sling bags for Zahra and Zoya. They chose the fabric a few months ago when they came to visit us. I chose this simple one from one of my Japanese patterns. A simple straight forward sling bags and the size is just perfect for little girls. This one I made for Afra, since I made the gadget case for his brother, I decided to make one mini sling bag for her. This one was the original pattern, with darts on the corner. It turned out really cute that one can make a pouch instead of sling bag. Trust the Japanese to make cute little patterns. The book didn't come with a pattern, but gave detail measurements. I made my own pattern based on the measurements given in the book. I love the simple rounded corner version though. It's really a quick project to make. 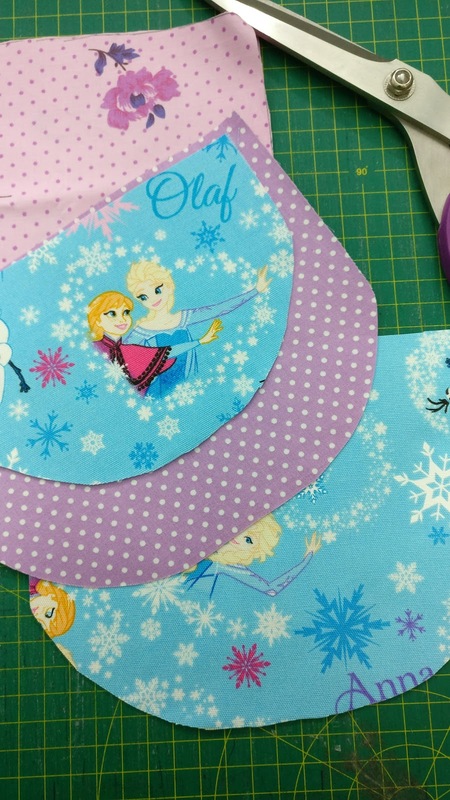 This Frozen sling bag I made for Jasmine, Eva's daughter. It's a long due. For the strap, I did not use any interfacing, since it's for a little girl, I thought as soft strap would be better. Subha who always helped me with my visa, whenever I travelled, asked for a specs cover. 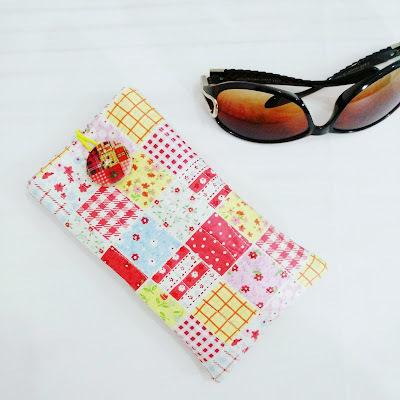 I was not sure whether it was for the sun glasses or for reading glasses, so I made in-between size. The fabric was a patchwork print fabric so I just need to quilt it and added fun wooden button and elastic. Instant cuteness! Simple sewing is always fun and when it's done using fun fabrics, it always turned out perfect. What about you? What are you sewing this week?